The Fast Kill has an intricate plot involving six people who initiate an £8 million jewellery robbery, led by devious Max Stein. The robbery involves multiple murder, and a nightmare drive to an airfield before the gang can leave the scene of their crime. Unbeknown to the others, Stein has planned to betray them, bringing the film to an exciting crescendo of bloodshed and death. 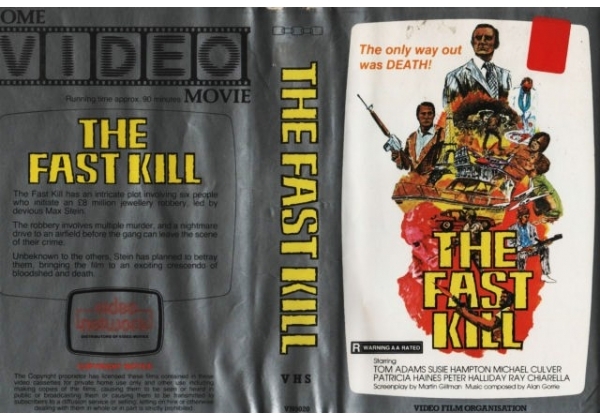 Or find "Fast Kill, The" on VHS and DVD / BluRay at Amazon.